The following pictures were taken just as the sun went down. 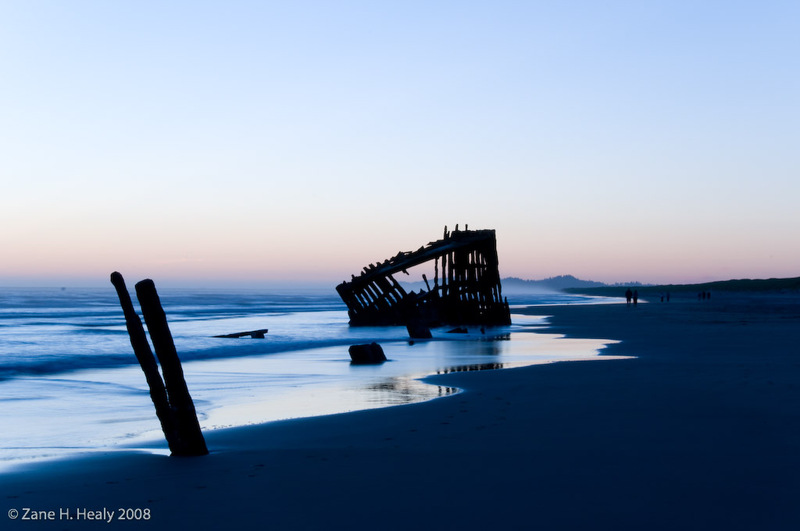 The wreck is that of a British four-masted bark the Peter Iredale which ran ashore on October 25th, 1906. The vessel was bound for Portland, Oregon carrying cargo from Salina Cruz, Mexico.